Breakfast Club along with Quantum Sport, in December 2012 organised a ‘fun walk’ around the 120km Manukau Harbour, in an effort to raise funds for CrackerJack Kids sporting programme to be fully funded at Randwick Park School. With the assistance of donations to the teams and The Mazda Foundation, this initiative is now fully funded at this school. CrackerJack Kids is a resource for primary school teachers that use game play to teach foundational character traits and life skills. To date there are 20 schools in Auckland that have undertaken this programme and 10,000 school children through-out New Zealand. 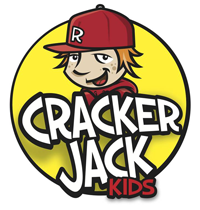 Click here to download Cracker Jack Kids PDF. The programme meets the requirements of the Ministry of Education curriculum for health and physical activity and includes professional development for teachers.